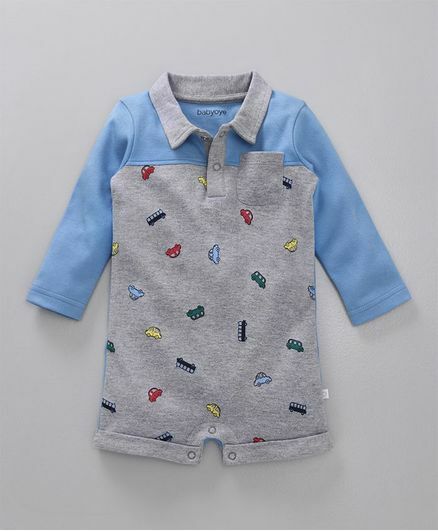 Add some comfort to your little one's wardrobe with this full sleeves romper from the house of Babyoye. Attractively designed with car print which makes it look stylish. Snap button opening ensures easy dressing and diaper changing. Your little one will feel extremely comfortable all day long in the soft fabric of the romper. "Recommended for baby clothes shopping"
Material quality too good..sizes are really perfect..it looks good on my little munchkin..do shop on firstcry.. very nice experience of shopping..
fabric quality is good look also same as pic but little unfinished stitching.